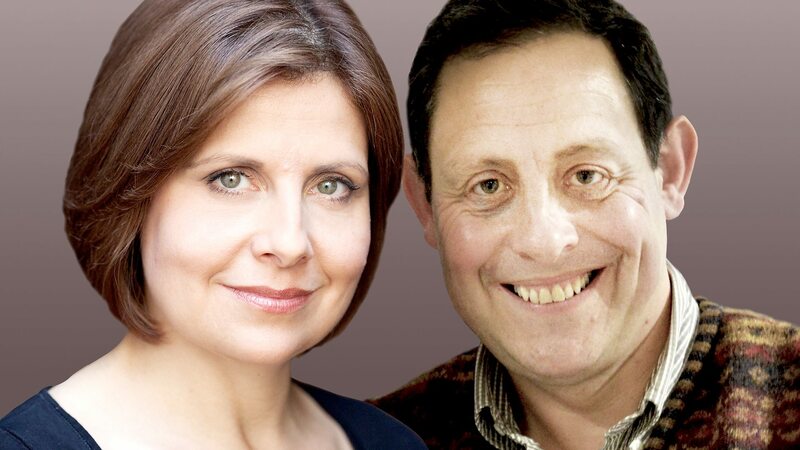 Rebecca Front and her brother, the writer and comedian Jeremy Front, have created a new radio comedy pilot which airs on BBC Radio 4 this week. The pair, who were previously responsible for the series Incredible Women and Rebecca’s 2014 book Loose Connections, star in Jack & Millie, written by Jeremy, which focuses on an older couple who are fully engaged with contemporary life while being at war with the absurdities of the modern world. Millie has been given a new tablet with a voice recorder, and as a result the pair have decided to record everything that happens to them. In this taster episode, a phone, a strudel and Franz Kafka combine to make Jack and Millie’s day rather complicated. The result finds them getting to grips with a French daughter-in-law, gassy bear, Eye-Closing Leon and a married lifetime’s worth of verbal sparring. Along for the ride are fellow TVO regulars Tracy Ann Oberman, Harry Peacock and Rachel Stubbings along with Andy Nyman (Dead Set, Pyschobitches), Jenny Bede (Murder in Successville, Crackanory) and Sue Kelvin (Doctor Who, Red Dwarf). The show is also produced by David Tyler, whose previous TVO related credits include Kevin Eldon Will See You Now, My First Planet, Paul Calf’s Video Diary and Coogan’s Run. You can hear the pilot on Thursday 23rd February at 11pm on BBC Radio 4, and the episode will be available on iPlayer shortly after transmission.